On December 7th, SEIPS held a lively Christmas party. 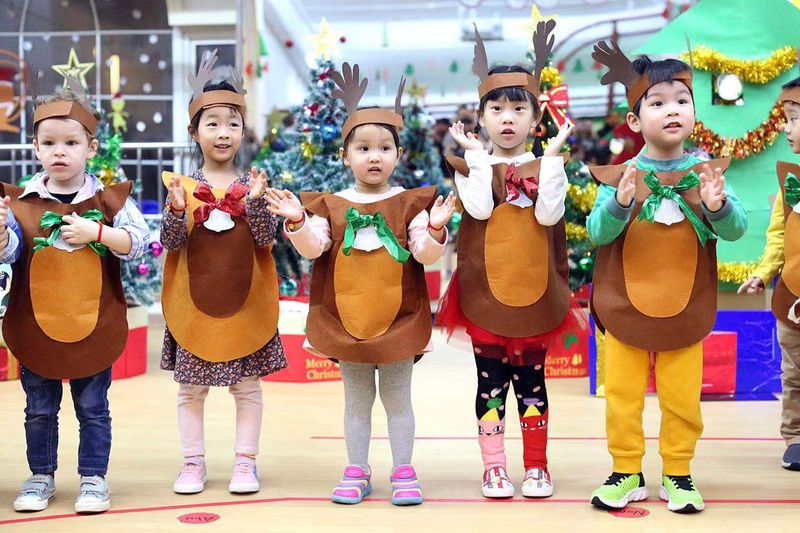 Children dressed up as lovely Christmas trees, reindeer, Santa Claus and elves, and performed dances, songs and performances for everyone. On December 12nd, Santa Claus visited each classroom and gave children the surprise gifts! It was so much fun to see how children reacted to Santa Claus. Some little ones were frightened by the Santa as it was their first time meeting him, but many children were excited to see him: they rushed over to him and gave him big hugs and greetings. As educators, we love piquing our children’s curiosity and their belief in Santa. 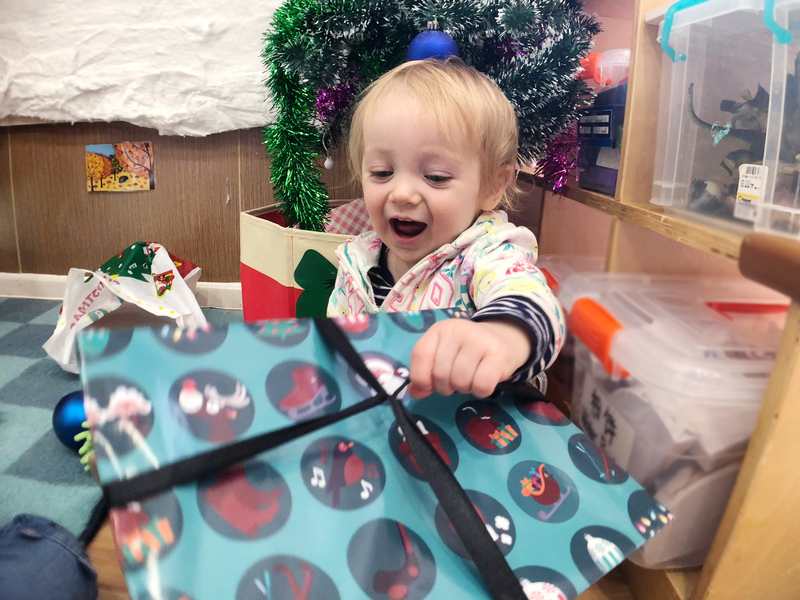 Christmas is such a magical time, and we love seeing the joy in our children’s faces when we’re celebrating together. Every December, our SEIPS family helps support local charities in Shanghai. This year, we again had a Giving Tree at the school’s entrance. 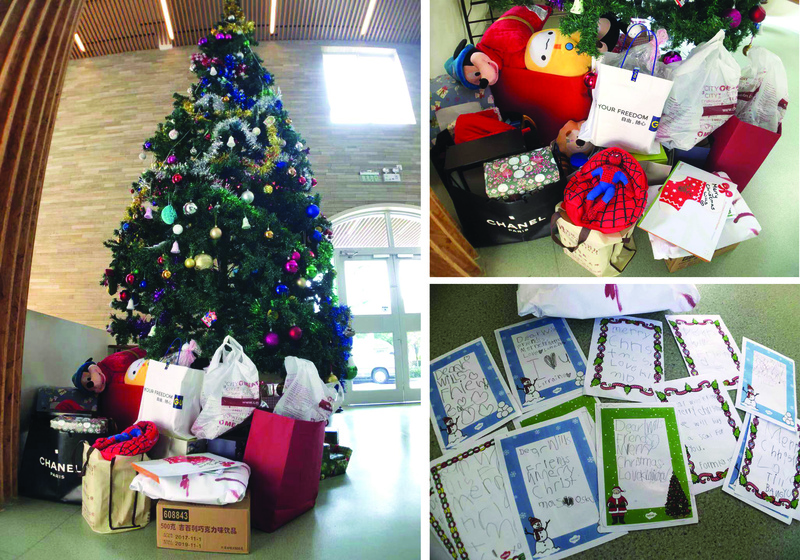 The Giving Tree was filled with cards with wishes from the Will Foundation and Los Santos Shanghai Animal Rescue. Our children chose a card from the tree and bring the required gifts to school. Through this event, we hope that our children can learn to be the global citizens who are connected to their world, and who reach out to help the people in need; not only during the holidays, but throughout the year as well.